Allow this statuette to serve the signature sauce for its own meat inside Arthur Court's Turkey Gravy Boat. The top of the bird's head opens into a lip for pouring, while a small eye and beak accompany a dangly wattle beneath it. 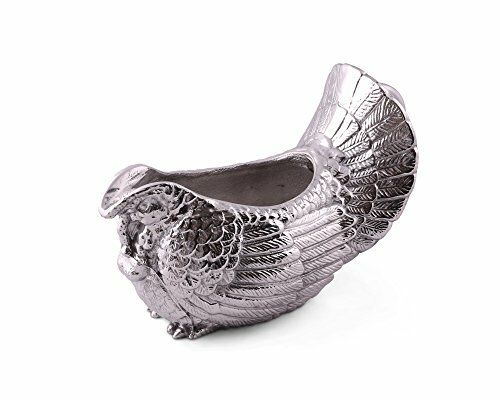 Beautifully patterned feathers accentuate the body of this handmade, aluminum boat, which includes a handle on the tail for easy transport.